Of the men who signed the Declaration of Independence, few exercised a more powerful influence than Samuel Adams. Samuel Adams was born at Quincy, Massachusetts, September 22, 1722. He descends from pilgrim ancestors John and Margaret Thurston who arrived in 1637, and Henry and Honor Rolfe of Wiltshire, England. His father, Samuel was a man of considerable wealth, a brewer and member of the Massachusetts Assembly. Samuel Adams was the eldest son of twelve children born to Samuel and Mary Fifield Adams. 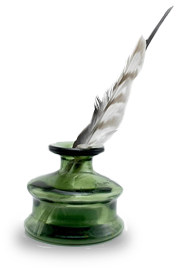 As a clerk in the colonial legislature (1765-74), he drafted most of the body’s official papers and quickly seized the tools of power. He pounced on the taxation issue raised by the Sugar and Stamp Acts (1764-65), and within a year he and his party gained control of the legislature. In 1770, Adams’ followers called themselves the Boston Sons of Liberty. In 1770, the Boston Massacre became the first bloodshed between the British and the colonies. The next morning a meeting of the citizens of Boston was called and Samuel Adams rose and addressed the multitude. A committee was chosen to call on Governor Hutchinson, with a request that the troops be immediately removed from the town. The governor replied “the troops were not subject to his order”. Adams strongly advised the governor of the danger of retaining the troops in the capital and the governor wisely consented to remove the troops. Several of Adams articles were published in the Boston Gazette and he was the author of several plans for opposing, the unjust designs of the mother country. Adams’ financial difficulties were known in England and the ministry proposed to bribe him, by the gift of some lucrative office. A suggestion of this kind was made to royal Governor Hutchinson, to which he replied “Such is the obstinacy and inflexible disposition of the man, that he never can be conciliated by any office or gift whatever.” The offer was actually made to Adams, but neither fortune nor power could tempt him to abandon the cause of truth, or the liberties of the people. In May 1773 Lord North’s Tea Act was passed by Parliament. On November 5, a committee of the Sons of Liberty met and Adams declared “anyone who aided in landing or selling tea to be an enemy of America.” On November 28 a ship arrived with tea on board. The next day a meeting was held and Adams declared “the tea shall be returned to the place from which it came.” On December 16, seven thousand people attended a meeting from ten in the morning until six at night filling a church and the Boston Common. A messenger arrived with the refusal of Governor Hutchinson to send the tea back to England. That night fifty men dressed as Mohawk Indians went to the wharf and threw the cargo of tea into the harbor. As a result King George and Parliament retaliated by closing the Boston Port in March 1774. Six weeks later the Boston Committee recommended that all the colonies suspend trade with England. During the Massachusetts General Court in July 1774, Samuel Adams moved to appoint delegates to a Continental Congress “to deliberate and determine upon all measures” and Adams was chosen one of five delegates. Samuel Adams and John Hancock were being watched by the British and British General Gage hoped to capture both on the night of April 18, 1775. They were both staying at the home of Reverend Jonas Clark in Lexington when Paul Revere rode to warn them of the British approach to Lexington. Adams and Hancock quickly escaped into the darkness, the British arrived at dawn and the Battle of Lexington began. Samuel Adams voted in favor of independence on July 2, 1776 and signed the engrossed copy of the Declaration of Independence on August 2, 1776 along with fifty others. On the eve of the signing Adams was said to have made a notable speech to Congress. Adams and Richard Henry Lee became good friends. Adams served on several important committees in Congress, notably the one that drafted the Articles of Confederation which he signed on November 15, 1777. He was a member of the Convention to form a Constitution for Massachusetts in 1779-80, and was on the committee that drafted it. In 1781 Adams retired from congress but not from public life. He returned to Boston and entered the State senate in 1781-88 over which he presided. He was a delegate to the convention called in 1788 to ratify the federal Constitution. In 1789 he was elected lieutenant governor, and held that office till 1794; on the death of John Hancock he was chosen governor and annually reelected till 1797 when he retired from public office. 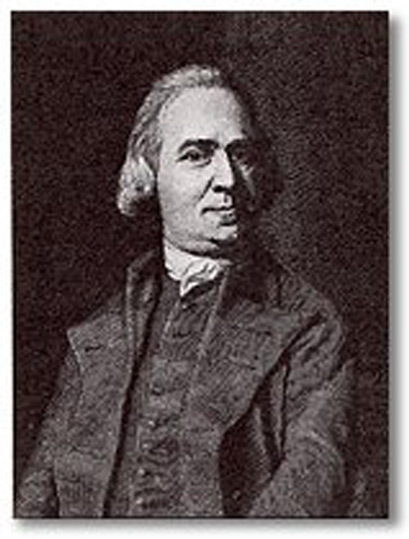 Samuel Adams died on October 2, 1803 at the age of 82. He was poor while he lived, and had not the death of his only son relieved his poverty, Samuel Adams notwithstanding his virtues, patriotism, zeal, and usefulness while he lived, would have been buried at public expense. He was buried in the Old Granary Burying Ground near the site of the Boston Massacre. A bronze metal plate stating “This marks the grave of Samuel Adams” is mounted on a boulder near Tremont Street. In 1873, the state of Massachusetts honored him by placing his bronze statue in Statuary Hall, in the Capitol Building, Washington, D.C. Adams is one of only six signers so honored. 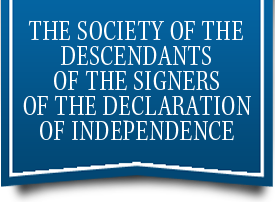 Goodrich, Charles A., Lives of the Signers to the Declaration of Independence. 1856. This entry was posted in Massachusetts, President, Signers by state. Bookmark the permalink.